The spherical nature of planet Earth is something that most hold as common knowledge in this day and age, a fact that we take for granted as verified and irrefutable. In order to get to this point there were many discoveries and advances in science and technology that had to be made over a long period of time. While the earth was thought at one time to be flat, we currently understand through the mathematical verification, pictorial evidence, and celestial observations that the Earth is round. But how did we come to the conclusion that our Earth is round, through what methods did we verify our data, and are there any people who have opposed this view? On this website you will be presented with the history of the mathematics and astronomy that convinced early scientists that the Earth was round, visual evidence of the first photograph taken from space, as well as an explanations for how the celestial sphere shows us the spherical nature of Earth. However, critical thinking is important, and in saying this we will present a dissenting view and their thoughts on the matter. The topic regarding the spherical nature of the Earth is important because, while we may now see it as common knowledge, it was not this way in previous time periods. 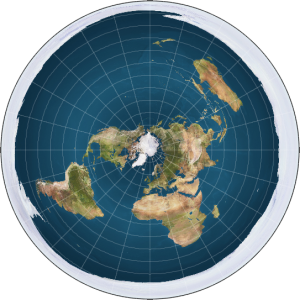 Even today there are many people arguing against scientific evidence that the Earth is spherical, opting for a pseudoscientific theory of a flat Earth. Through the use of astronomy, early as well as modern, scientists have been able to verify that the Earth is not flat. This has helped us with navigation, understanding weather patterns, and the placement of satellites so that they stay in orbit around the Earth. These are only a few examples of the benefits of knowing that the Earth is round, which can be proven through the observations of the night sky. This research is important because of current rise in the idea that the Earth is flat as opposed to spherical. While it is important to allow people to hold their own beliefs, it is equally important to look at verified data and to objectively look at information that we can obtain ourselves. As a society we have progressed in our scientific knowledge over the past few centuries, and yet there are still those who are afraid of our advancement. One of the ways to fight fear is with knowledge and unbiased exploration. One of the hallmarks of science is questioning everything, so to question the spherical nature of the Earth is a great place to start. However, we must then look at the evidence presented to us from both sides and quantitatively decide which hypothesis is the most logically verified. We currently hold the belief that the Earth is spherical in shape. The reason that we hold this belief is because of many scientists who came before us and their discoveries over the centuries. As early as 6 B.C. there were writings about the spherical earth by Pythagoras1. The stars in the night sky and their changing position over time was the first indication to Greek philosophers and scientists that the Earth may not be flat. There was also the fact that depending on where on the Earth you were standing also affected the stars that you could see. Science has progressed over the past couple millenia surrounding the evidence of a round Earth, from mathematics involving stars only able to be viewed with the naked eye, to visual evidence verifying the theory that many scientists had come to conclude; the Earth is round. Throughout history there have been various theories about if the Earth is flat or not. It has always been something that people have questioned. Different cultures have believed different things at certain times. Medieval people in the 4th century CE believed that the Earth was flat because everywhere people would go they would see flat ground. They were not able to prove this theory wrong because they had no means in providing evidence that would convince them otherwise. European’s in 4th century CE agreed with the Medieval people and believed that the Earth was flat because they could see flat ground everywhere they went. In the fifthteenth century, Magellan’s expedition came back from the first journey around the world and it helped to provide the first direct demonstration in believing the Earth was round. It was the first expedition to circumnavigate the globe and provide evidence that the Earth was not flat. They believed that since they did not fall off the Earth that it cannot be flat and has to be round. Eratosthenes also made contributions to the subject of the flat Earth by measuring the circumference of the Earth in 240 CE. He based his calculation on how the sun is far away from the Earth that the rays are taken as parallel, meaning that the Earth is spherical and not flat. There were many discoveries that led to the conclusion that the Earth is not flat, and a great deal of these were due to the stars. Early Greek philosophers, such as Thales, Pythagoras, Plato and Aristotle, got the ball rolling with their discoveries and hypotheses2. Aristotle is credited with a great deal in this area, but there were many philosophers before him that influenced him. These early philosophers commented on how things such as how the stars change position when you travel and how ships disappear on the horizon. The changing star patterns in the sky was one of the ways in which the stars greatly fueled the theories about the Earth being round. The philosophers observed the constellations to be rotating throughout the night, as well as different constellations appeared in different seasons. If the Earth was flat the sky around us would not change as much as these philosophers observed it to. Pythagoras used mathematics to begin to understand the universe better and aid others in proving that the Earth is round; which later inspired Aristotle3. Then came Eratosthenes. Eratosthenes contributed by taking earlier studies and evolving them to be able to measure the circumference of the Earth. By measuring the length of the shadow cast by a vertical stick during the solstice noon, he could figure out what angle the Sun made with the vertical direction at Alexandria4. Because the distance to Alexandria from Syene was known he was then able to get a rough estimate (which turned out to be very close to the calculated value used today) of how large the Earth was. This work aided in proving that the Earth is round because if it were flat there would be no change in angle that the shadow makes; the sun would hit the stick at the same angle no matter where it was placed on Earths surface. Claudius Ptolemy was an early Greek mathematician and astronomer that was born around 100 AD5. Ptolemy did a lot of work compiling what was known about the Earth to create a solid case for the Earth being round, and he advanced many arguments as to why it is round. Columbus believed the Earth was round after studying the works of said early Greek philosophers, so he began a journey to prove it in 14924. Although he was not a philosopher or an astronomer, Columbus’ journey was pivotal. The journey was the first time that much of the world started to consider that the round Earth theories could be true. All of these individuals contributed to the theories and findings about the Earth being round, but without the stars their works wouldn’t have been possible. This shows us how far we have come through logic and scientific theory when thinking about specific beliefs about the shape of the Earth. One of the major accomplishments in the past century was when we as humans could view a virtual image of earth and verify what scientists had been mathematically confirming from experimental data and evidence for many centuries. The earth was already widely accepted as round, but since August 23, 1966, when the first image of the earth was taken6 it was almost undeniable that all of the mathematical and scientific data up until that point had been correct. The word ‘almost’ is key, since there are still those who have chosen to disregard this evidence and provide alternative ideas for the shape of the earth. Is the theory of a flat Earth valid? Scientists do not believe so because we have been able to verify through several different means that the Earth is spherical, through the use of astronomy, physics, and mathematics. Despite this, there are people that share the idea that our world is indefinitely flat. 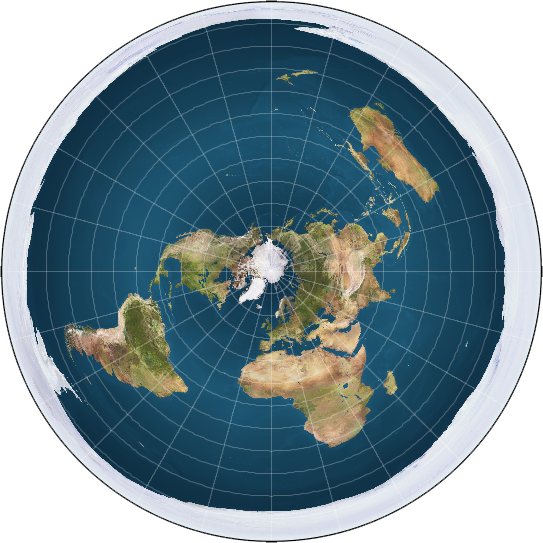 The most common theory is that earth is a flat disk with the Arctic Circle at the center and that we are surrounded by a giant wall of ice at the rim of the disk7. To further their point, the flat earth theorist’s bring forth the information of NASA’s multiple failed attempts of breaking through the atmosphere with rockets quite peculiar, particularly how they have evolved their science through repetitive failures into seemingly having little to no failures at all.8 Their belief on the matter is of rockets only showing their departure, making it seem as if the rockets have escaped into space before they vanish, which isn’t the case. The basis of the flat Earth belief is the evidence that is clearly in front of us – the ground we walk is flat, when we travel large distances it is still flat, when we view the Sun rising/setting it is still eye-level no matter your elevation, etc. This is backed up by Dr. Samuel Birley Rowbotham, who traveled primarily around Britain within the 19th century, and educated his hypothesis through a series of experiments that show that the Earth is not curved. One of the theories regarding the night sky by flat earth theorists, is that, while also being surrounded by a wall of ice, our sky is a glass dome covering the Earth9. Others may think this too illogical and opt for the idea that the Sun and Moon are both spheres with a diameter of 32 miles, located 3000 miles above Earth. The Sun and Moon do change altitudes and their location, according to these theorists, and this would explain the Moon’s phases as well as the Earth’s seasons9. The celestial sphere is an informative indicator that supports and confirms the Earth’s round shape. The celestial sphere is infinite and surrounds the Earth. It is used in associating where the celestial bodies are located in the sky.10 The celestial sphere is made up of several factors such as; the North and South Poles, Equator, Horizon, Ecliptic, and the Zenith. The North Celestial Pole and South Celestial Pole are located at the same points of the North and South Pole on Earth but projected and extended into space. The next factor is the Celestial Equator, it is the Earth’s Equator at a much larger scale. The third factor is the Horizon, changes and alternates depending on where the observer is located. In addition there is the Ecliptic, which is the Sun’s path throughout the year. Lastly, the Zenith, this is the point on the celestial sphere that is directly above the observer. When trying to point an exact location using the celestial sphere, one must give two celestial coordinates.10 These coordinates are known as the Right Ascension and Declination. The Right Ascension is measured along the celestial equator and the Declination is measured northward and southward. 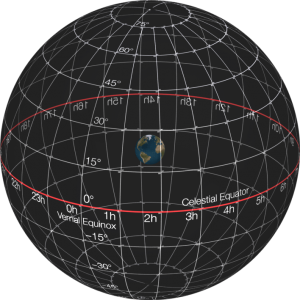 The use of the celestial sphere helps astronomers confirm the Earth’s shape because as the Earth rotates; the positioning of the Planets, Moons, and Stars shift perspectives to astronomers.10 It is important to note, that the Sun, Moon, and Stars are not moving within the celestial sphere but rather the Earth is. The stars, patterns, and constellations do not move but as the Earth rotates in a circular motion, it results in changes to the Zenith.10 When looking at the sky, astronomers are only able to see half of the celestial sphere at one time. This “half” slowly progresses across the Horizon as the Earth rotates on its axis. Depending on where the observer is located, The night sky changes; showing different stars, patterns, and constellations at a variety of angles and latitudes. The night sky varies depending on where the observer is located. For example, if the observer is located on the North Pole, then the observer would only be able to see the stars that are visible in the northern hemisphere of the celestial sphere. When the observer progressively makes their way south from the North Pole, the southern hemisphere of the celestial sphere becomes more and more detectable. Eventually getting to the Equator, where the observer can see both the north and south hemispheres of the celestial sphere from the horizons. This same logic is applied if the observer is in the South Pole. 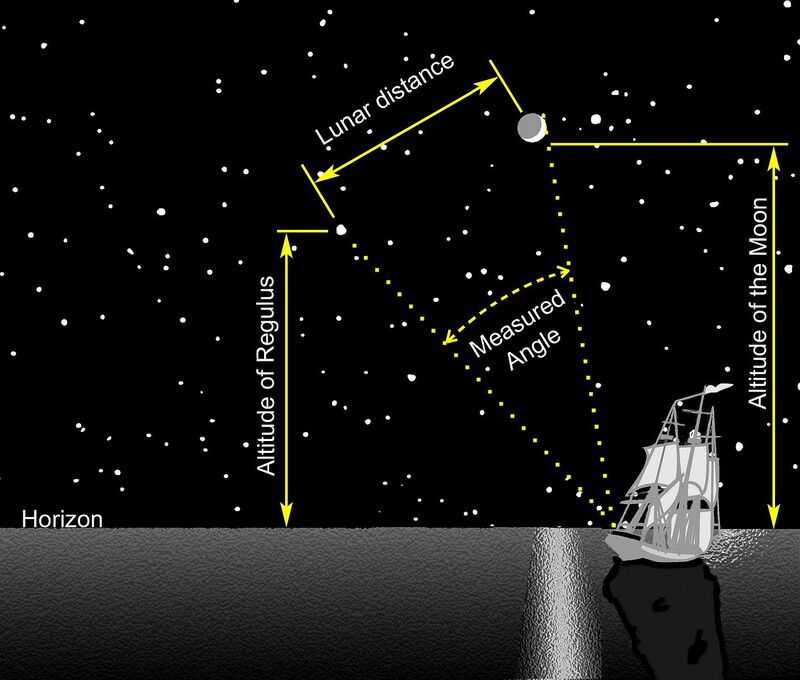 The observer would only be able to see the stars that are visible in the southern hemisphere of the celestial sphere. Until the observer progresses north, resulting in the viewing of the north hemisphere of the celestial sphere. The north hemisphere of the celestial sphere will continue to grow as the observer walks north from the South Pole until they reach the Equator. As the Earth continues to spin on its axis, it would ultimately result in showing observers from both hemispheres all the stars on the celestial sphere; this only happens because the Earth is round. When comparing the logic of the observer at the North or South Pole migrating towards the Equator to the idea that the Earth is flat, it is not applicable to one another. This is because if the Earth was flat, the observer would consistently see the same stars no matter which Pole or Hemisphere they were located on because the Earth would not be rotating and neither would the Celestial Sphere. The debate on if the Earth is round or flat has occurred for thousands of years, it is important because even in modern day, there are still people who believe the Earth is flat. 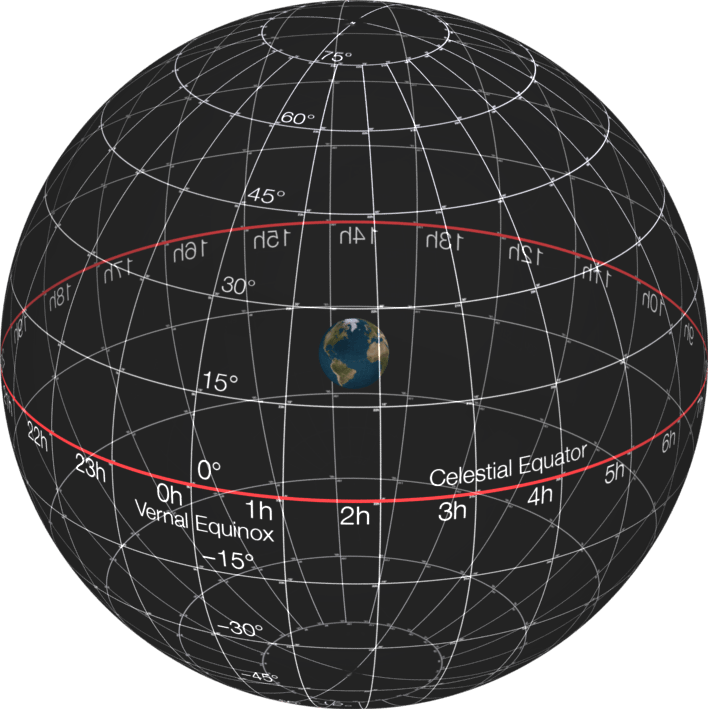 The observations of the night sky have helped reinforce the spherical shape of the Earth. With the use of astronomy, we are able to provide confirmation that the Earth is round by looking at several aspects such as; mathematical verifications, pictorial evidence and celestial observations. This website has presented a critical perspective that offers detailed examples on how the Earth cannot be flat and is round.